There has been some question as to whether the toxicity of delivering very high doses of external beam radiation per treatment (or fraction) in fewer fractions (called “extreme hypofractionation” or SBRT) would be high compared to conventional dose rates per fraction. While practitioners of stereotactic body radiation therapy (SBRT) have reported very low toxicity rates (see table in this link), there has always been some doubt because there may have been some bias in how patients were selected in the various studies. The biologically effective dose is 19% higher for SBRT in terms of cancer control. The biologically effective doses are equivalent in terms of toxicity. 80 percent of the men were treated with a technology called three-dimensional conformal radiation therapy (3D-CRT), which is seldom used for external beam therapy anymore at major tertiary care centers. It is never used for SBRT in the US because it is considered not precise enough, and too toxic. SBRT is usually delivered in four or five fractions in the US. CyberKnife and VMAT are the most common technologies in use, and use of sophisticated image guidance throughout each treatment is a common practice. Acute urinary toxicity was 27.6 percent for the SBRT group and 22.8 percent for the conventional fractionation group, but the difference was not statistically significant. Acute rectal toxicity was 9.4 percent for the SBRT group and 5.3 percent for the conventional fractionation group. The difference was statistically significant, but narrowed by 3 or 6 months. Late-term urinary side effects were reported by 5.4 percent of the SBRT group and 4.6 percent of the conventional fractionation group. The difference was not statistically significant. Late-term rectal side effects were reported by 2.2 percent of the SBRT group and 3.7 percent of the conventional fractionation group. The difference was not statistically significant. Impotence was reported by 34 percent of both groups, up from 16 percent at baseline. Patient-reported bother from urinary, rectal, and sexual side effects were not different. Given their use of the largely outmoded 3D-CRT technology, it was not surprising that acute toxicity would be elevated. I’m frankly surprised that late-term toxicity was not higher for SBRT. They plan to present their findings on oncological outcomes at a future time. 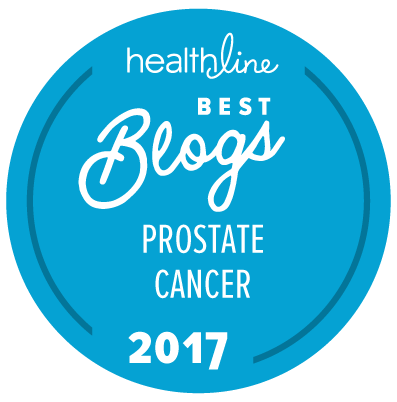 Note: This commentary was written by Allen Edel for The “New” Prostate Cancer InfoLink.